The National Library of Ireland, Collection List No. 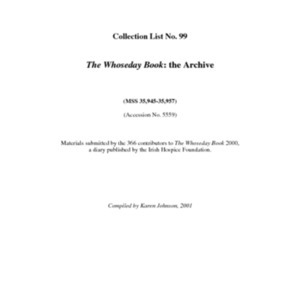 99: The Whoseday Book: the Archive. A document discussing the listing of the Whoseday Book in the National library of Ireland.